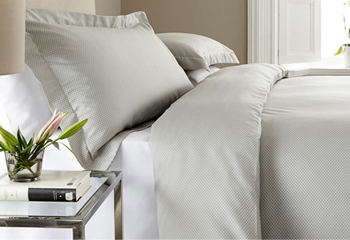 The highest quality in 100% Egyptian cotton! We are proud to offer the best quality with our cotton sheets from 200 Threads up to 1000 Threads, in addition to unique prices. We guarantee that you never have to pay for " a brand ", only for pure Quality. All our luxury linens and towels is manufactured in a textile factory in Portugal, which maintains the high standard we require. We send our products to Scandinavia, Spain, Germany, France, Portugal and the United Kingdom. From our carefully selected range of products, we offer bedroom linens in 100% Egyptian cotton of the best quality, that is made in satin and percale fabrics. We also have a wide range of bathroom and kitchen textiles. You will find us in: Comercial centre - Edificio Sotomarket, Locales 30-32 Sotogrande 11310, San Roque - Cádiz - Spain ( Motorway Mediterranio, E-15, Exit 130 ) See Map here.